When it gets towards May, the Guilds Pole is erected across from the historical town hall. 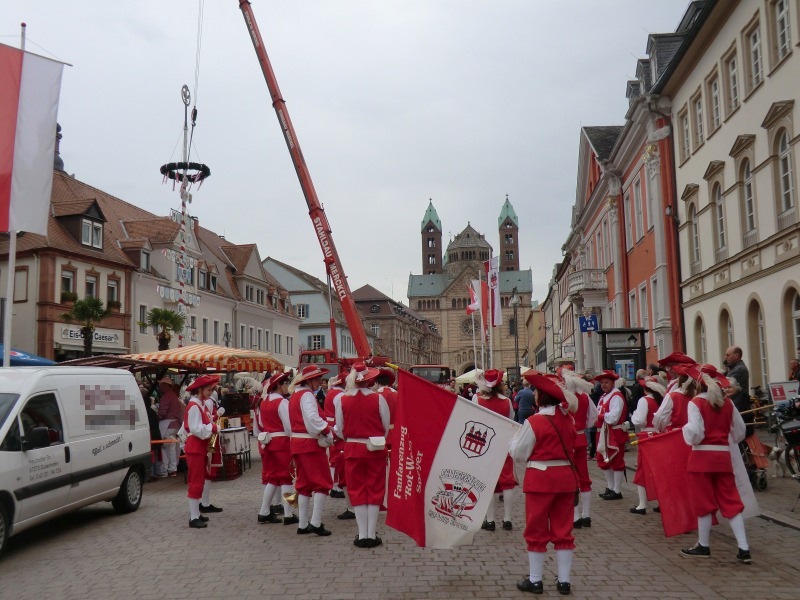 This corresponds to the wide-spread German tradition of May-Pole-erecting. Contrary to that this pole is not erected stealthily at night, but with a small ceremonial act, and with a big crane.